Picadilly farmers, Jenny and Bruce Wooster, have been growing high-quality produce on community farms since the mid-1990s. 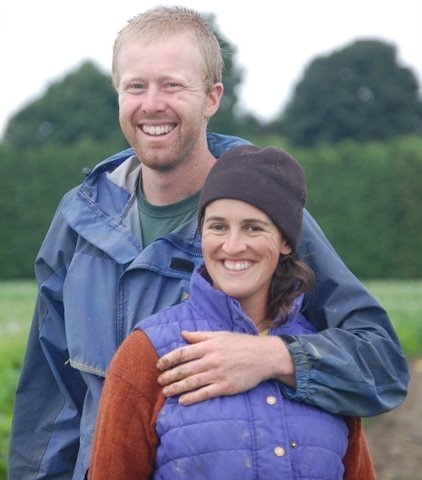 Picadilly is certified organic and they write, “Our growing practices are rooted in sustainable farming methods for our environment, fair working conditions for the farm crew, and sustainable methods that benefit all of us.” Learn more about Jenny and Bruce and Picadilly Farm. Riverland farmers, Meghan Arquin and Rob Lynch, bought their farmland and a farmhouse in the winter of 2008. Riverland Farm is in Sunderland, MA and is certified organic. 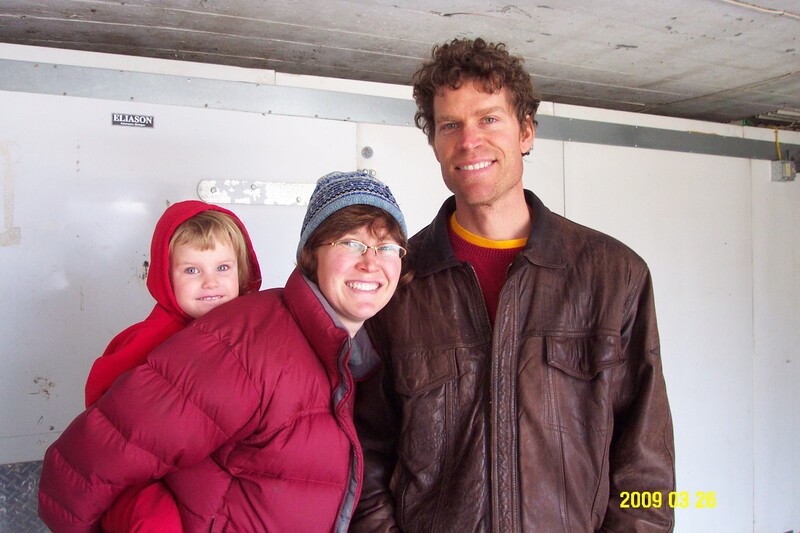 Learn more about Meghan and Rob and Riverland Farm. Keep up with their news on their website, which also has a slide show of beautiful photos of the farm. Baer’s Best Beans, Charley Baer and his field manager Jonathan grow dried beans (certified organic) for the share. After farming for 15 years at Moraine Farm in Beverly, Charley bought Lover’s Brook Farm in Berwick, Maine. He offers many varieties of heirloom beans that grow happily in Maine soils at Lover’s Brook and other nearby farmlands. Some of his fields (and hence some of his beans) are certified organic. Here’s a nice interview Edible Boston did with Charley for their Winter 2010 edition. Cider Hill Farm, Glenn Cook’s fall apples (IPM) are in the November share. Glenn and his wife Karen have owned and managed Cider Hill Farm for more than 30 years. Not only does Glenn and his experienced crew know how to grow a wide variety of high quality apples, produce delicious unpasteurized cider, but their electricity is 100% sourced on their farm via solar and wind power. Their greenhouses are heated when necessary only by wood from their farm. They offer pick your own of a wide variety of fruit, all through the season, as well as their apple-picking. 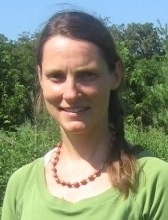 Shared Harvest CSA distribution and marketing is managed by Jane Hammer. 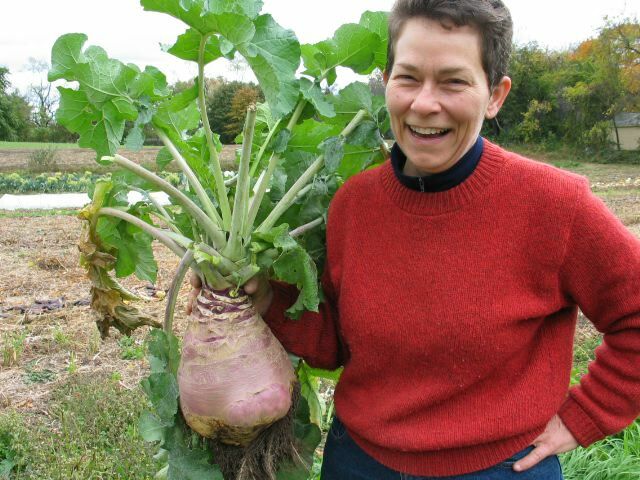 Gretta Anderson, a farmer with no knack at all for growing reasonably-sized rutabagas, founded and managed Shared Harvest from 2007-2011. After she happily handed over the Shared Harvest reins to Jane, Gretta was the grower at Moraine Farm CSA in Beverly, and now continues to be an invaluable support to the growers and apprentices of Eastern Mass. via the E-Mass CRAFT collaborative and other behind the scenes endeavors.